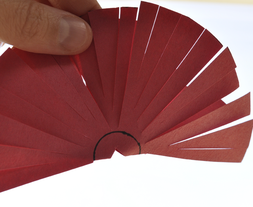 Cut circles out of construction paper, cut fringed strips towards center circle (center circle approx. 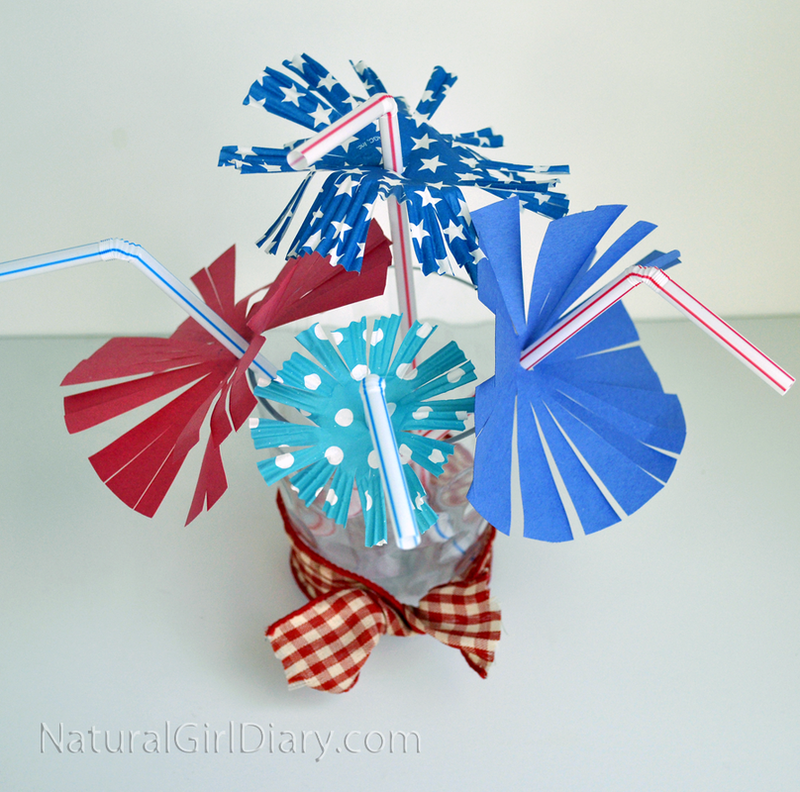 the size of a quarter or nickel). 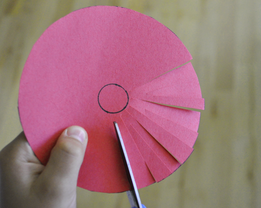 Fold circle in half, cut a small triangle in center of circle by snipping two angled cuts. 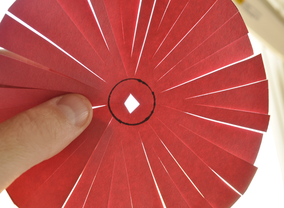 When you open the circle, you should have a small diamond shape. Insert popsicle stick or straw so center circle outline (if you made one) faces down. 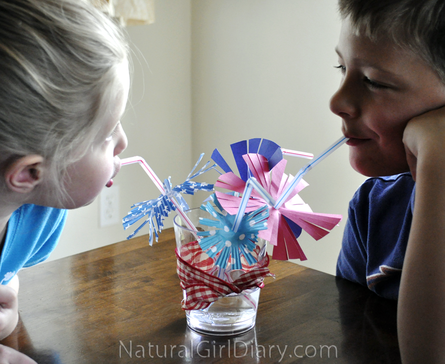 Keep kids well hydrated this summer when you make sipping even plain water more enticing with "fireworks" straws. 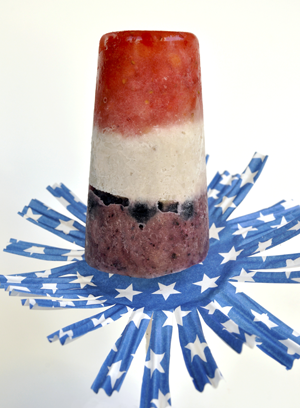 Instantly make any popsicle more fun when you add a "fireworks" drip guard. 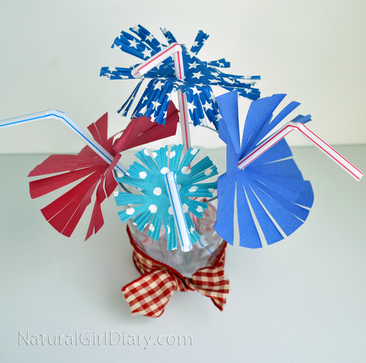 Click HERE to get the recipe for our patriotic pops, pictured above.